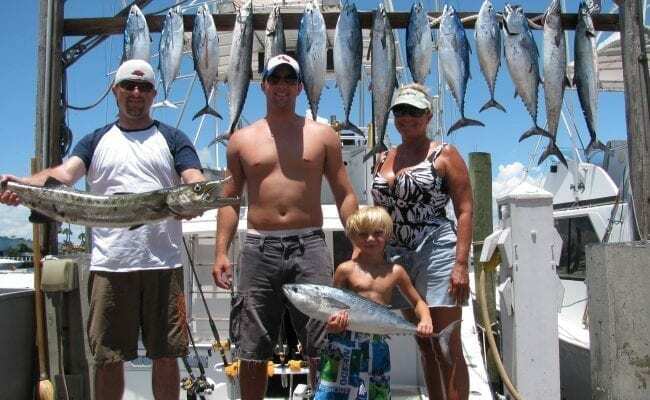 Visit the Fish Lauderdale Website to view a seasonal listing of what Fish Lauderdale guests are catching. 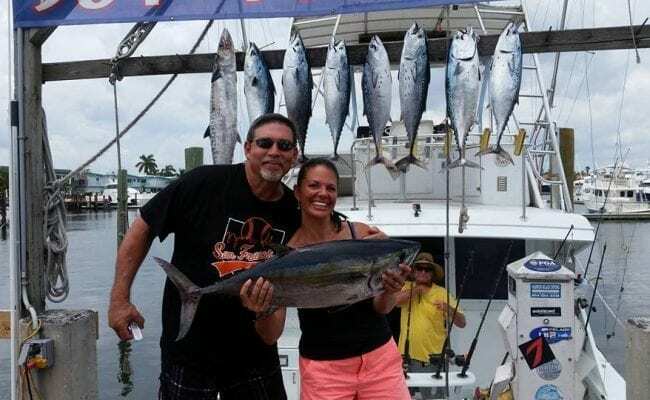 At Fish Lauderdale we pride ourselves on providing the best possible FORT LAUDERDALE FISHING CHARTERS. Let our experienced crew show you the trip of a lifetime. We like to target all species of fish including SAIL FISH, SHARKS, WAHOO, TUNA, MAHI MAHI, AMBERJACK, BARRACUDA, SNAPPER, and so much more. 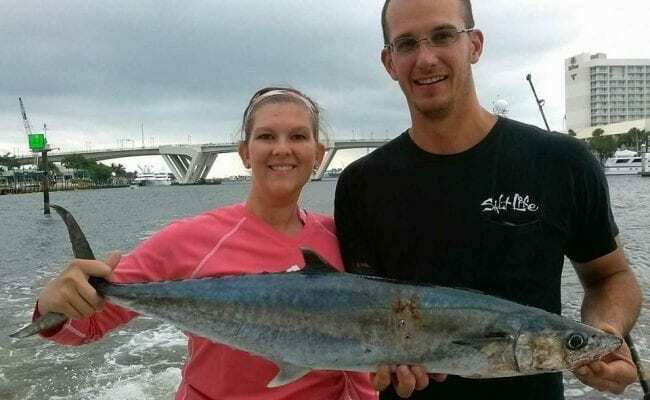 So whether your looking for a few hours on the water or an all day deep sea fishing excursion we would love to be the FORT LAUDERDALE CHARTER FISHING boat that you trust to catch fish. 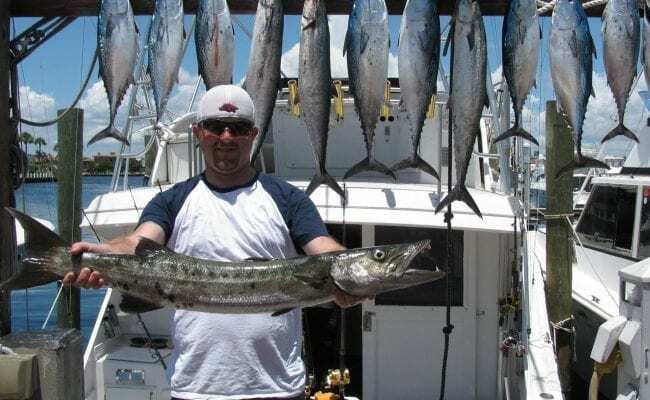 We specialize in DEEP SEA SPORT FISHING ADVENTURES for either a 1/2 day, 3/4 day, or full day and offer Fort Lauderdale sport fishing and deep sea fishing charters at its best!! Fishing is our job, but before that, it’s our passion. 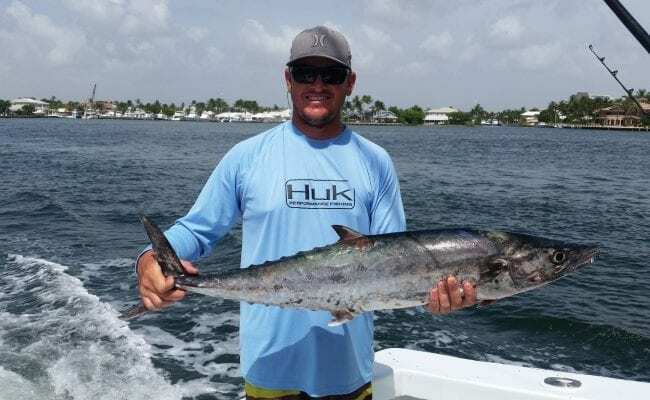 At Fish Lauderdale, we love what we do on our Fort Lauderdale fishing charters and our great attitude is a direct reflection of that. We’ve been in the charter fishing business in Fort Lauderdale since 1985 and we are still going strong. We’ll work hard for you and your group to make sure we put you on the fish. Join us for a day of fun and excitement with professional sport fishing off of the South Florida coast. We will provide a captain and mate to assist using only the best in tackle and live bait when needed.